Franny Tacy started Franny’s Farm in 2012 after leaving a high-powered, corporate-America job in Pharmaceutical sales. While her hands and heart seems to have always been in the dirt, her mind was focused on purpose and it is purpose that has driven all of her career decisions since she began making them. Whether the purpose was her passion, her sense of security, or her desire to challenge herself, she has wafted gracefully (and with a whole lot of hard work) from forest ranger, to teacher, to pharmaceutical sales, to farmer. To her, life is a journey with an ever-shifting purpose and it is our mission to follow that purpose while also attempting to find a sense of balance. This seems to be something she has nailed down. Franny has been gardening and keeping chickens for years, even before Franny’s Farm was her reality. When she left the corporate world to start the farm with her husband, she had nothing but the land, her passion, and her ideas. In her words, “anything you can imagine can become a reality…” and together with her husband, they have made their dream of Franny’s Farm their reality. 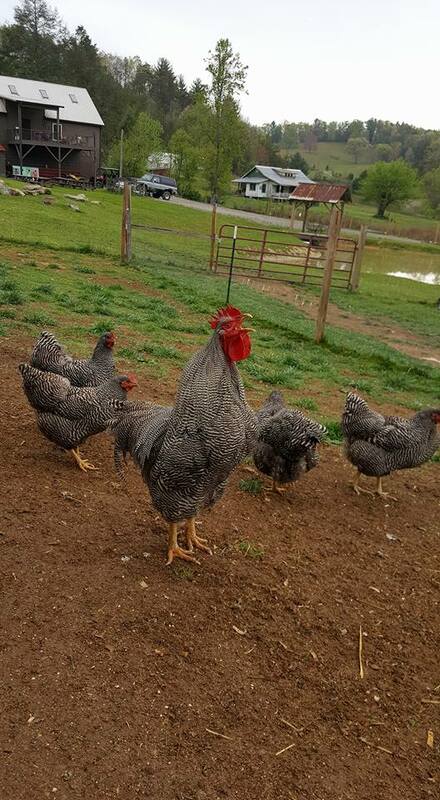 Franny’s Farm is located in Leicester, North Carolina just 10 miles from downtown Asheville. It is an organic, sustainable farm that is home to a wide array of chickens, turkeys, sheep, goats, and other animals while also supporting vegetable and fruit gardens, pollinator gardens, and nine beehives. The farm also serves as an event venue, hosts eco-cabins and camping opportunities, and puts on a farm summer camp. At the heart of the farm’s mission is education. Franny is so dedicated and involved in education that she has set the farm up to be an education center for people to come and learn from, especially to learn about poultry. 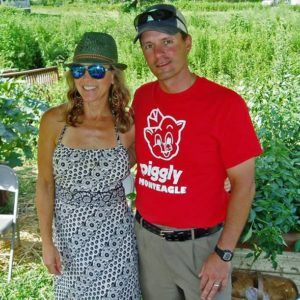 The Tacys call Franny’s Farm their own little Bowl of Heaven and invite any and all to visit the farm to learn and grow. 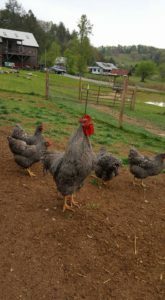 Because of Franny’s experience, she is the Poultry Track team leader for the OGS Spring Conference. She raises poultry and is involved in all parts of the life cycle of the chicken from breeding, to incubation, to processing on sight. Chickens, and turkeys as well, are her specialty and she has spent years now teaching others about the sustainable poultry network. She loves being in charge of this track because she’s able to break it down for people, to make it simple, and to show them that they too can support sustainable poultry on their farms. Franny especially believes in this teaching opportunity, the Organic Growers School Spring Conference, because she believes it is one of the best weekend conferences a grower can attend. Growers who attend the conference leave with action items that can be implemented and turned into a reality long after the conference ends. The workshop series at this conference is so practical, useful, and most importantly, based in education. The people involved in the conference, and those who attend, are farmers who walk the talk, and are outstanding in their work. Farmer Franny is clearly passionate about the conference and about educating growers about sustainable poultry. But perhaps another more subtle theme throughout my conversation with Franny was gratitude. When I asked Franny about a special moment she had on the farm, she answered: “the moment is every single day when I get to wake up and take care of these animals”. Everyday, Franny feels gratitude for where she is and what she gets to do. Despite the hardships of owning a farm, she has found an overwhelming sense of purpose being in her Bowl of Heaven. At Franny’s Farm, Franny is truly driven by the purpose she has found to intimately connect to the food network and to educate others to do the same. 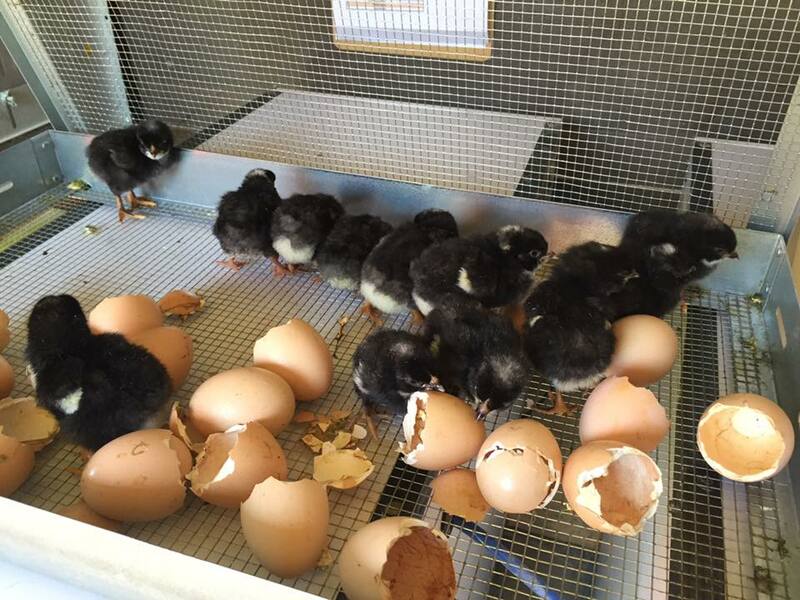 If you are interested in learning more about raising birds on your farm, or perhaps are looking for a breath of fresh air, visit Franny’s Farm for OGS’s pre-conference workshop “Chickens and You: From Egg to Table” on Friday, March 10 from 9:30 AM- 4:30 PM. 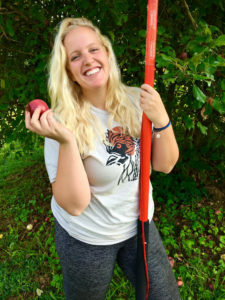 About Jenna Bailey: As an Organic Growers School Conference volunteer, I was tasked with the assignment to interview Farmer Franny Tacy of Franny’s Farm for a blog post. I went into the conversation nervous and a little tired, and thirty minutes later hung up the phone excited, invigorated, and refocused. As it turns out, a conversation with Farmer Franny is good for the soul, and the OGS conference attendees are lucky enough to have her positive energy coming their way. For more information about the 24th Annual Spring Conference, click here.